In April 2000, The House of Commons enacted the Personal Information Protection and Electronic Documents Act which affects the way corporations collect, maintain and use personally identifiable information. AcceleRate Financial has adopted a Privacy Code that is designed to protect the confidentiality of your personal information. This code follows the principles of Canada's privacy legislation as stated in the Personal Information Protection and Electronic Documents Act. Protecting the personal information we collect and maintain is as important to us as it is to you. Like other organizations, we require a certain amount of personal information to conduct business and provide you with the products and services you are requesting. AcceleRate Financial will always treat your information in a confidential manner and is committed to keeping personal information confidential, secure and private. In adopting this Privacy Code for the Protection of Personal Information, what is the accepted practice of AcceleRate Financial becomes a documented commitment to our members. AcceleRate Financial will always meet or exceed all privacy standards established by industry guidelines, provincial and federal legislations and other applicable laws. Accountability. The credit union is responsible for the personal information under its control and shall designate an individual who is accountable for the credit union's compliance with the principles of the Code. Identifying Purposes. The purposes for which personal information is collected shall be identified by the credit union when or before the information is collected. Consent. The knowledge and consent of the member are required for the collection, use, or disclosure of personal information, except where inappropriate. Limiting Collection. The collection of personal information shall be limited to that which is necessary for the purposes identified by the credit union. Information shall be collected by fair and lawful means. Limiting Use, Disclosure, and Retention. Personal information shall not be used or disclosed for purposes other than those for which it was collected, except with the consent of the member or as required by law. Personal information shall be retained only as long as necessary for the fulfillment of those purposes. Safeguards. Personal information shall be protected by security safeguards appropriate to the sensitivity of the information. The credit union will take the same standard of care as it takes to safeguard its own confidential information of a similar nature. Openness. The credit union shall make readily available to members specific, understandable information about its policies and practices relating to the management of personal information. Individual Access. Upon request, a member shall be informed of the existence, use, and disclosure of their personal information and shall be given access to that information. A member is entitled to challenge the accuracy and completeness of the information and have it amended as appropriate. Compliance. A member shall be able to question compliance with the above principles to the designated individual accountable for the credit union's compliance. All inquiries regarding privacy should be in writing to the privacy officer. Birth date. This helps us identify you and ensure that no one is trying to impersonate you. We may also use it to determine your eligibility for products and services that may be of benefit to a particular age group. Social Insurance Number (SIN). Your SIN is required for products which earn investment income, in order to comply with Canada Revenue Agency's income reporting requirements. We also use it to keep your information separate from that of other customers with a similar name, including information we obtain with your consent through the credit approval process. Password Protection. Whenever you receive a temporary password we strongly encourage you to change it, as soon as possible, to something confidential and private, which only you would know. When changing passwords, you should avoid anything that includes information someone else knows or has access to, such as birth dates, addresses, any numbers found in your wallet or words associated with you. Your passwords are private and absolutely no one has the authority to obtain them from you at any time, including credit union staff or officials. Do not tell anyone your password. Your browser may give you the option of saving passwords for you, but for security reasons we do not advise you to use it. Cookies. Web sites often collect non-personal information in small text files called "cookies" when you enter web sites. Some sites will place a cookie on your system so you don't have to identify yourself by entering a password each and every time you visit a site. Crosstown Civic Credit Union uses session cookies on its sites, which are only stored for the length of time you are in the site. They are not written to your hard drive and are used only to provide easier access while there. They are not used to identify users or to track usage. If you use the browser's option of saving a password, it will be saved in a cookie. Browser Encryption. We require that 128-bit encryption be used when conducting financial transactions over the Internet. While every effort is made, through the use of industry recognized security standards, to continually protect personal information from misuse and alteration, Crosstown Civic Credit Union and its affiliates do not guarantee the security of your information over the Internet. If your browser does not support 128-bit encryption, you will have to download and install a version of your browser that supports it. Cache Storage. Always log out of any site where you have viewed or sent personal or financial information. For added security and privacy, clearing your browser's cache at the end of every on-line session is a good habit to get into. The purpose of caching is to make your browser more efficient by eliminating the need for it to reload previously viewed pages every time you visit. However, it also allows anyone to view those pages. You can clear your cache by deleting items in the Temporary Internet Files folder in your file manager, or through the browser itself. E-mail. When you forward e-mail to Crosstown Civic Credit Union, we recommend that you use caution and do not include confidential information in those messages, as they are not encrypted. E-mail is very similar to that of a post card and along the way someone can read every word that has been written. Upon receipt of your e-mail, we may store your correspondence and exact e-mail address for future communications directly with you. Under no circumstances do we sell e-mail addresses or share them with any other party. When you apply for a new product or service, we indicate in the application or agreement how we intend to use your information. If we need to use it for another purpose, we will ask you for your consent at that time. We treat your private information in a confidential manner. Our employees are required to sign a confidentiality agreement as a condition of employment. Live chat: Please see bottom right corner for availability. 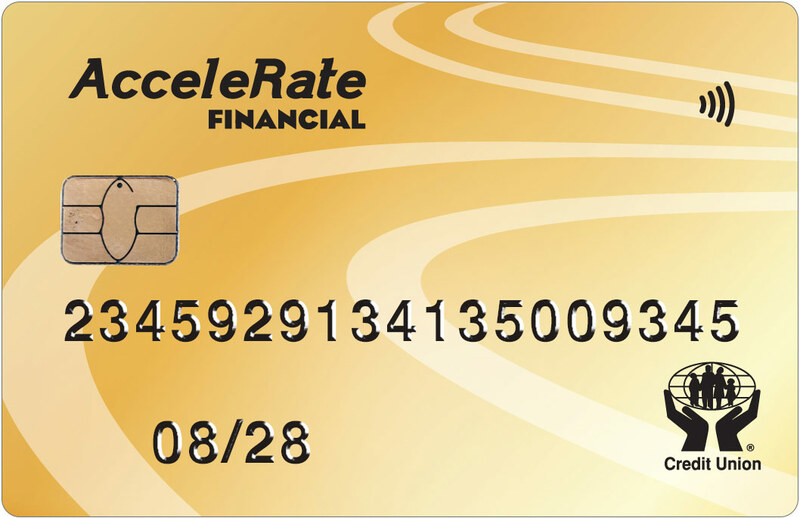 2018 AcceleRate Financial, a division of Crosstown Civic Credit Union. All rights reserved. Unless otherwise specified, the content of this website, including, but not limited to, text, graphics, logos, buttons, images, data, icons and code, is the property of AcceleRate Financial, a division of Crosstown Civic Credit Union. Information on this website is intended for personal use only. AcceleRate Financial, a division of Crosstown Civic Credit Union, is not accountable or responsible for any actions once the website is exited. Links to other websites are for reference only and may not be directly endorsed by AcceleRate Financial.